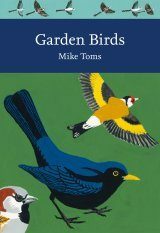 This is the latest in a succession of books which chart the fortunes of Hampshire's birds, a pedigree that stretches back to Gilbert White in the 18th century and continued to Birds of Hampshire published by the Hampshire Ornithological Society in 1993. 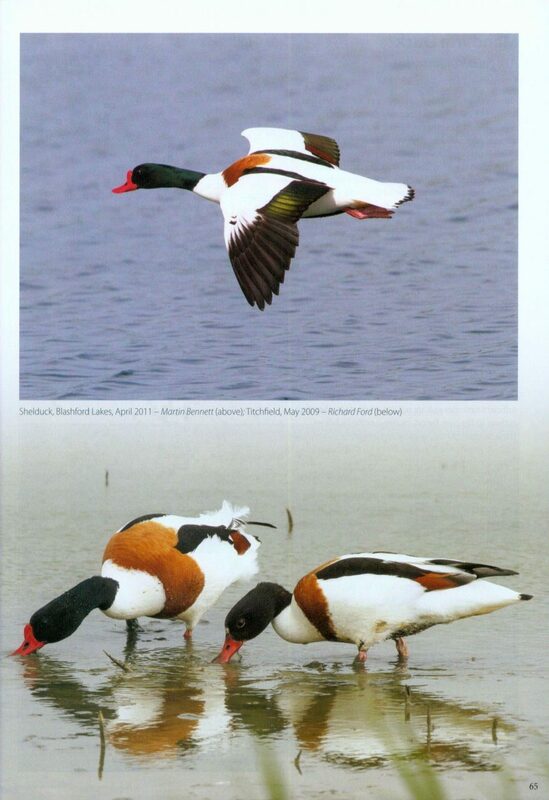 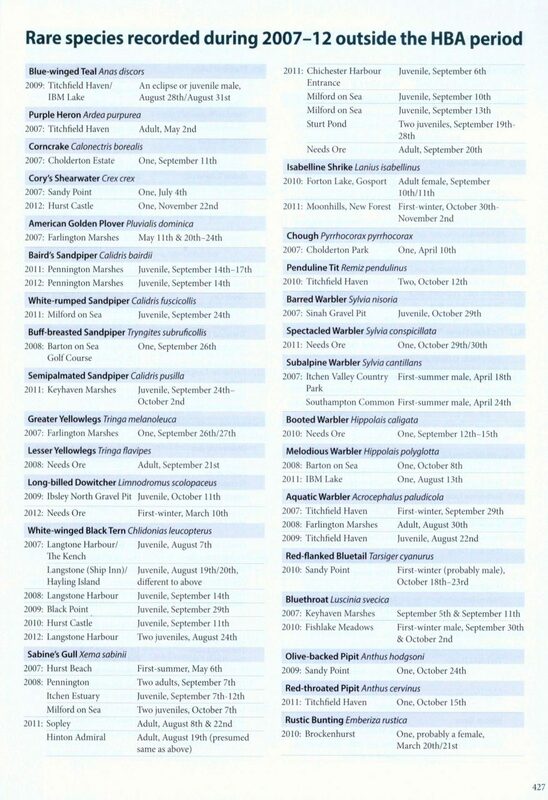 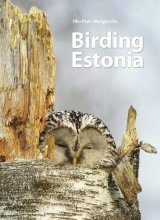 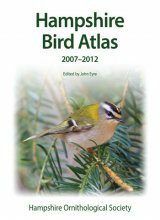 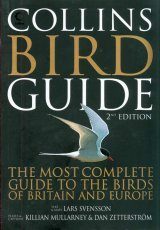 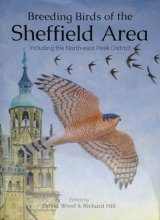 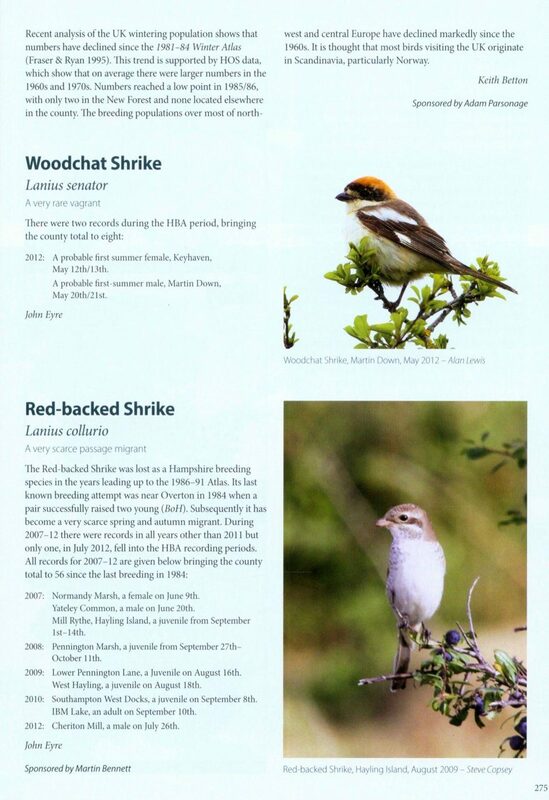 Hampshire Bird AtIas 2007-12 extends this lineage by presenting the most detailed information about the county's birds yet to be published. 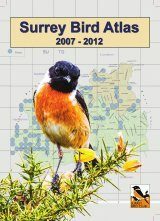 Based on the results of a comprehensive survey carried out by some 1,200 volunteers, it breaks new ground by mapping the birds' distributions and relative densities in both summer and winter. 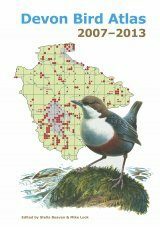 For the breeding species, it highlights the many changes that have occurred over the past 20 years, identifying the winners and losers and exploring the reasons behind the trends. - Individual accounts of the 204 species occurring in Hampshire during the 2007-12 atlas recording periods. 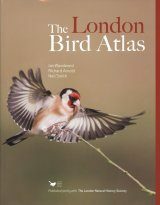 - 137 summer and 172 winter maps showing the distributions and relative densities of many species. 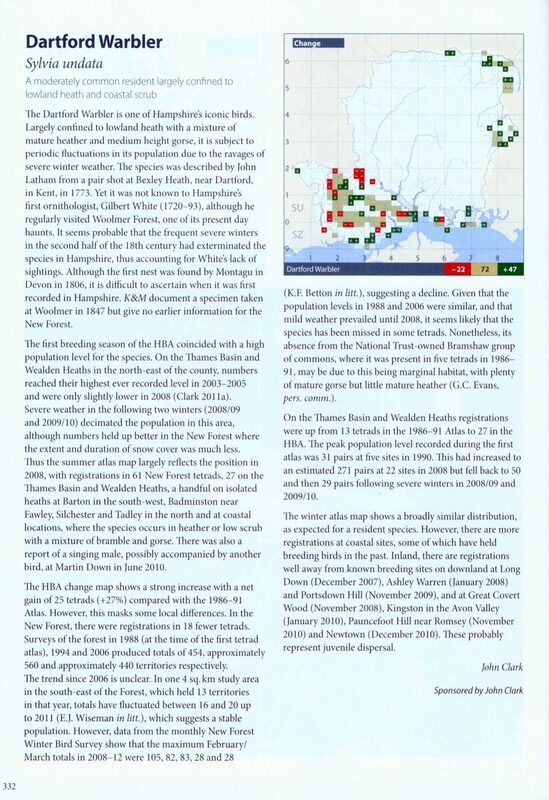 - 131 maps showing the change in summer distributions since the previous atlas in 1986-91. 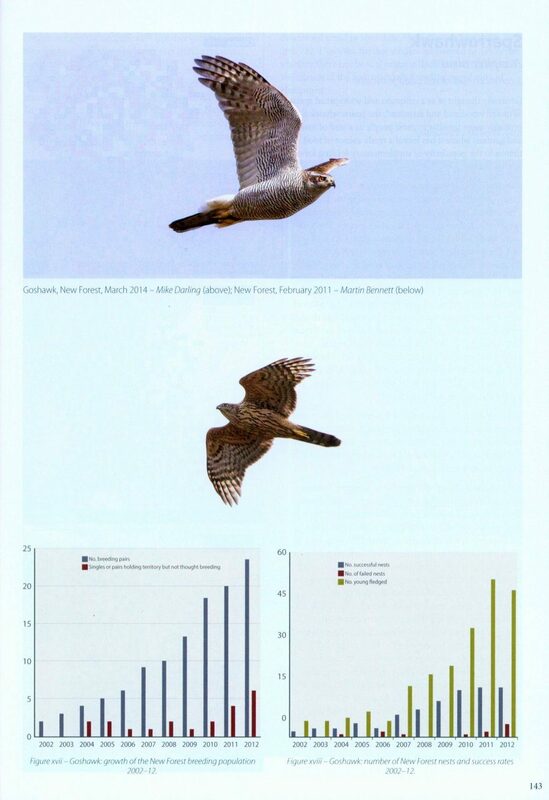 - Tables and charts showing numbers and trends. 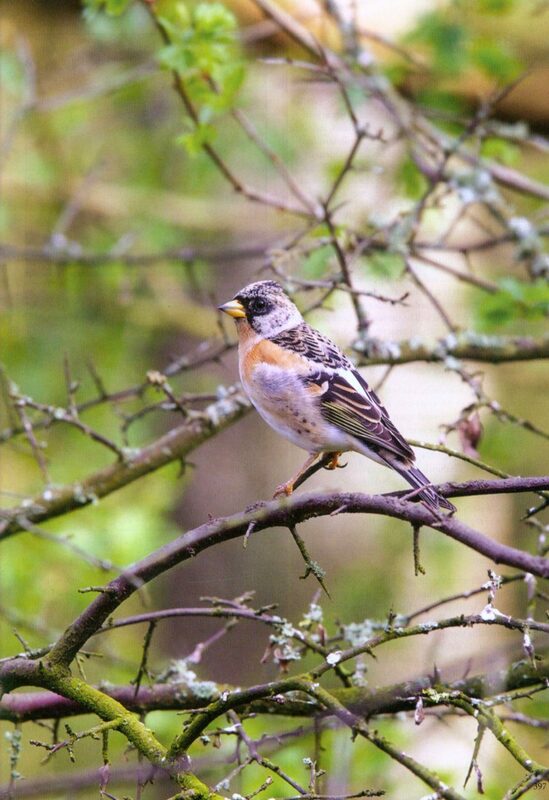 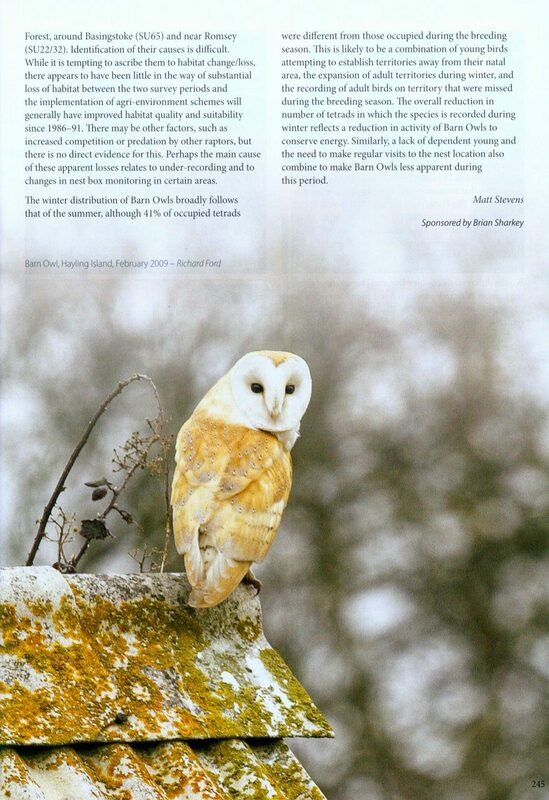 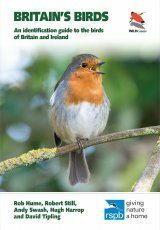 - An assessment of Hampshire's bird habitats, how they are changing and the pressures acting upon them. 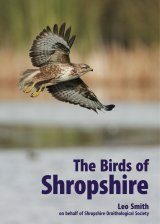 - Over 400 bird photographs, the vast majority taken in the county by Hampshire photographers. 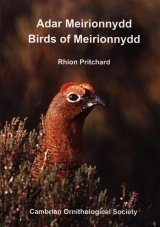 This book sets a new benchmark against which future changes will be measured. 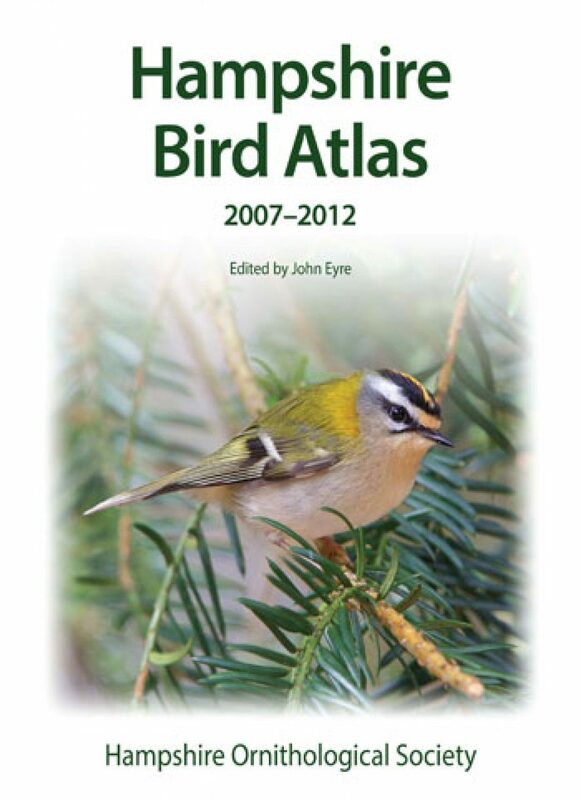 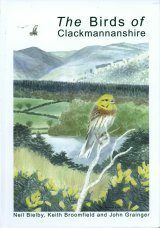 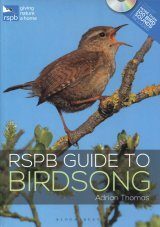 It is an essential read for anyone with an interest in Hampshire's birds and their habitats. 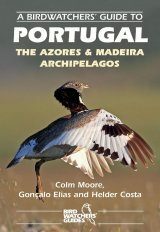 "[...] a magnificent triumph of voluntary labour and exceptional expertise. 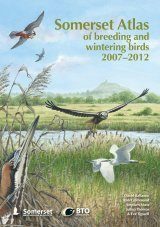 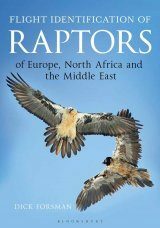 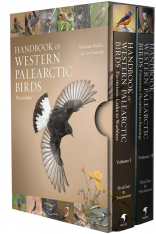 Now Hampshire is one of the best scientifically known areas on the planet and this volume represents essential information to those concerned with the task of conserving many of the species considered." 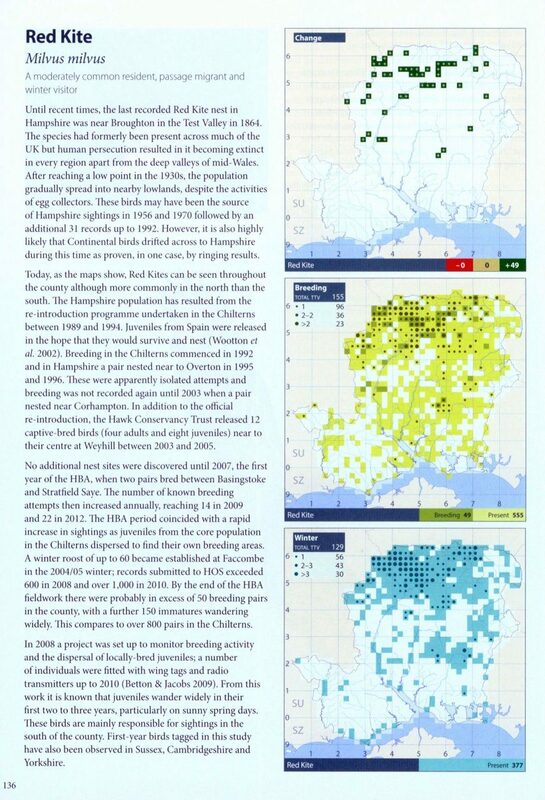 "[...] While one may find the design and images wanting, you cannot fault the information presented or the efforts of the Hampshire Atlas Team who brought the wealth of information and knowledge together. 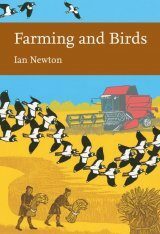 They are to be congratulated. 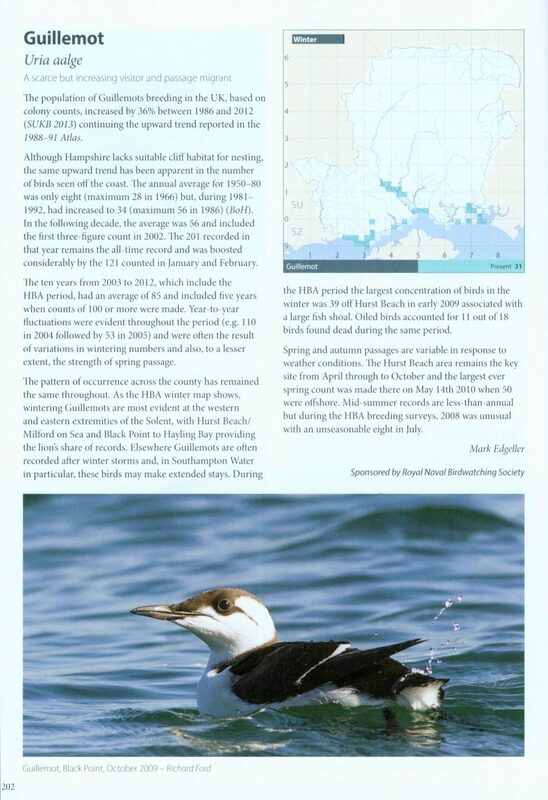 As someone who spent his youth birding in Hampshire, and whose records fed into the latest Hampshire Atlas project, I am delighted to see this excellent finished article."